A new event named " Sunday - Funday " is going to be organised by Hotel Taj Gateway, Bandar Road every sunday starting from June 17th. 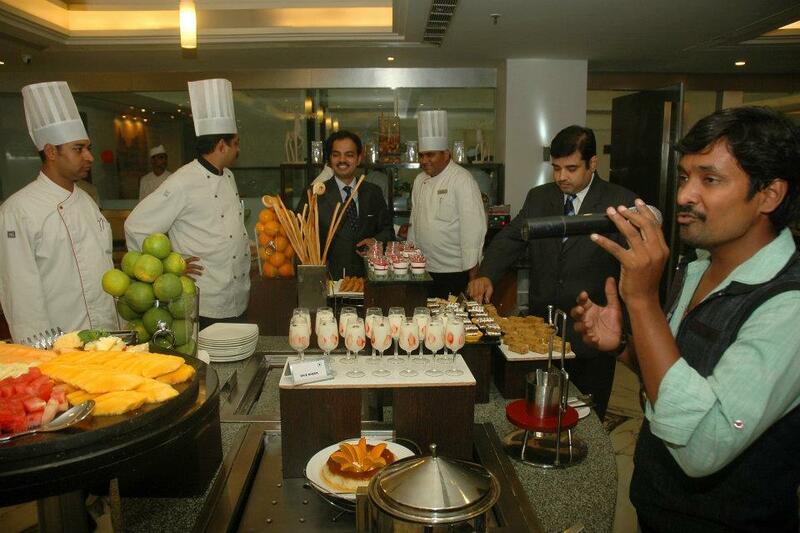 The package includes a variety of mouth watering dishes - both vegetarian & non - vegetarian. Also included in the package is complimentary access to the swimming pool and also evens like magic show, playback singing, face maker, and etc. The food menu includes freshly grilled meat, live chaat, a roast station, global delicacies like dimsums, baked breads, tempura, exotic salads, kids fry station, vegetarian and non vegetarian delicacies, and a variety of desserts. Unlimited flow of beer and spirits are also on offer for an additional charge. It will be open for public every Sunday between 12 noon and 3 PM. People who want to make use of the pool could step in by 10 AM.